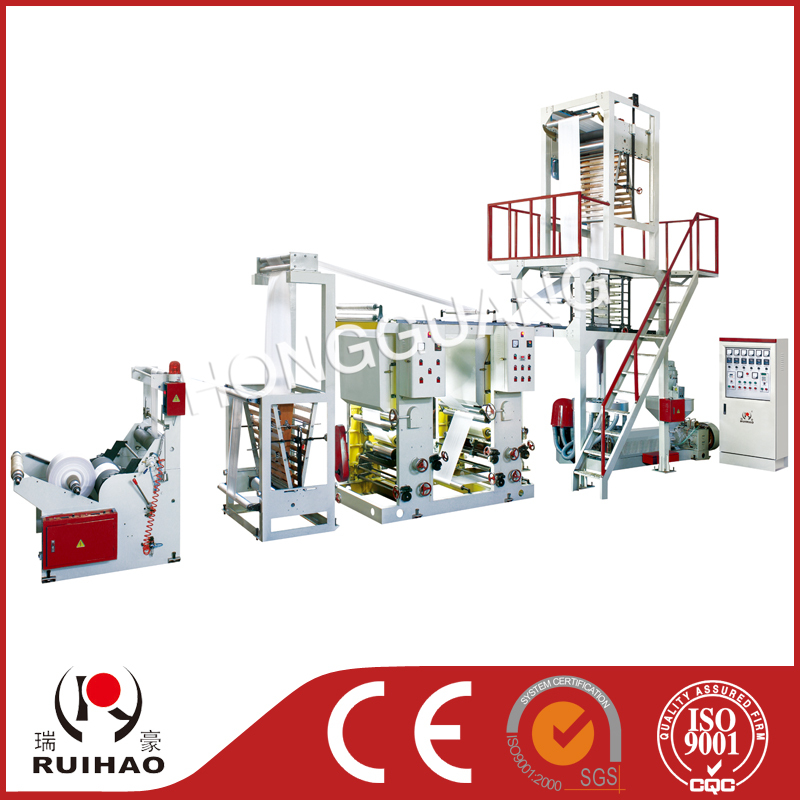 1) This plastic film extruder and gravure printing machine line Applicable to blow plastic films like LDPE,HDPE,LLDPE, etc. 2)Integrate film blowing and printing. as one line.Save labor force, working space, and improve the quality of products and economic profits. 3) Widely used for food, cloth, garbage bag, vest bag, etc. 4)with one-sided printing finished byonce-through operation. 5)360 register device is accruagte and doesn't affect tretching of film so that color-checking of printing can be adjusted freely at any time . 6)The farinfrared tube drying unit can keep drying at 50%/min so as to make picture clear and exquisite.